What can be a better place to spend a weekend than a nice city park, such as the ones Minsk can boast of? Due to the fact that Minsk was multiple times totally destroyed because of many wars that crossed the territory of Belarus, the city cannot boast of a large number of ancient architectural attractions (although, they are enough for a dozen of great pictures). But all the disadvantages of a lack architectonic sights are generously compensated by nature in the form of various plantings of landscape art. Parks of Minsk are a great place to spend time with your family of friends. The capital of Belarus is an exclusively green, modern city, ready to shelter travelers tired of steel and concrete megacities. On its territory, there are scores of parks and a gorgeous botanical garden, famous in the rest of Eastern Europe. Right after the arrival in the city, you can come to the Mikhailovsky park, located right next to the train and bus stations. It will pleasantly surprise you with its comfort, and also raise the interest of sculptures located therein (the "Stranger", "Girl with an umbrella" and "Smoker"). Also, worth noting is the Culture and Recreation park of the 50th anniversary of the great October. In addition to ancient coniferous trees that maintain excellent air, there are also old attractions breathing with Soviet coziness. If the word "attraction" caused you a pleasant feeling, be sure to visit also the Cheluskintsev Park, where you will find not only them but also the summer stage, carting and dance floor. This park was named the best one on the territory of CIS (countries of former the Soviet Union). Sportsmen will also find here something for themselves, as there is a sports ground especially for them. 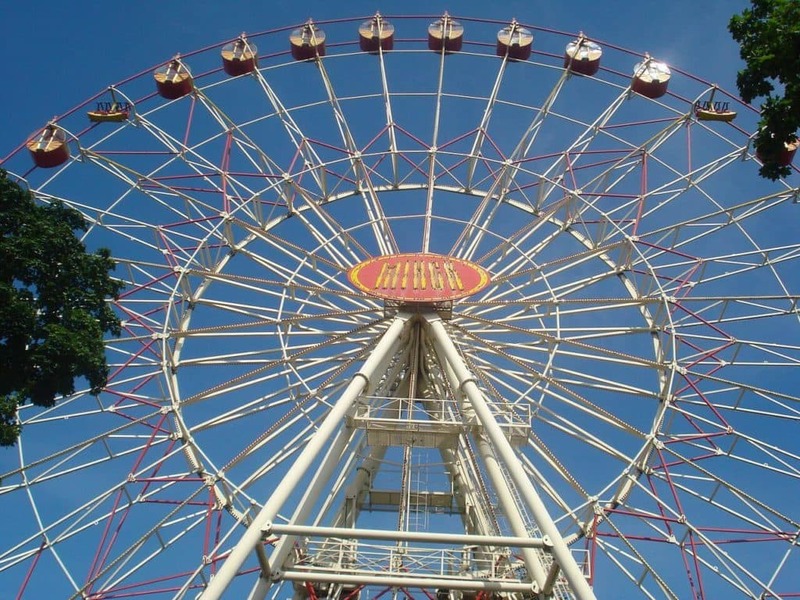 Travelers wishing to cover the whole city view may visit the Gorky Park (the Central Park) that has a huge Ferris wheel, surrounded by other attractions. Nearby is a small pond with ducks, where you can relax on the bench. The Park is also great for cycling. 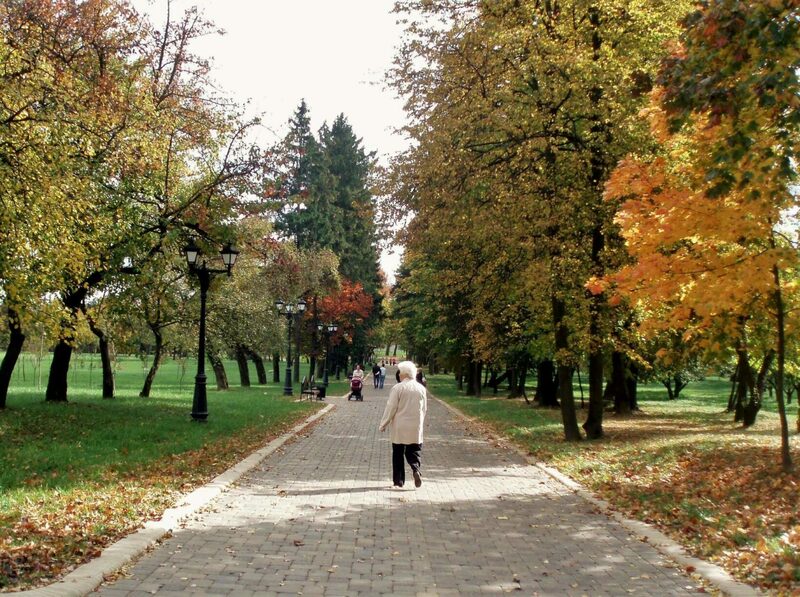 One of the most famous parks of Minsk is Victory Park. There are plenty of romantic fountains and there is the possibility for hiking around the Komsomol Lake. You can also cross a brigde inside it and get to the Bird island. We recommend you to leisurely ride a boat, or just sit in a summer house, planning a further route. A perfect place for romantics and couples is the Loshitsa Estate and Park Complex. It was created back in the 18th century by the Prushinski earl. Especially romantic is the central linden park alley. Literature fans can visit the park of the famous Belarusian poet Yanka Kupala. Here you can find a museum dedicated to his work, beautiful central alley and a splendid fountain. Suitable for families is the Aleksander park with its well-known "Boy with swans" fountain. There is also a theatre nearby named in honor of the aforementioned poet Yanka Kupala. Exotics lovers are welcomed in the Sendai park, named after the clock that was presented to Minsk by the Japanese city of Sendai. 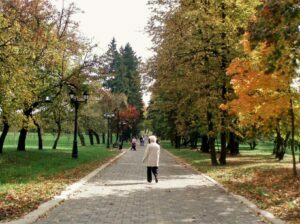 It is one of the most special parks of Minsk. In the park you can find such highlights like a fountain, created in the form of decorative masks, as well as bridge partly made of bamboo tree. One of the main attractions of Minsk is its botanical garden. In addition to beautiful flowers and trees, it will delight visitors with its swan lake. It is one of the largest botanical gardens in Europe (3rd largest). Also, worth visitors' attention is the Orangery, located here. There are about 10000 plants in the garden, including 2000 examples of tropical species (cactuses, agaves, eucalyptus, magnolia, etc.). Visiting once any of these green corners of the city, you will want to return again to the quiet streets and parks of Minsk and enjoy the tranquility of this large city.